Cases that involve a DUI second offense in Florida or a subsequent driving under the influence charge become more complicated as the Florida Legislature has established strict minimum mandatory penalties for people convicted of multiple DUIs. Contact a DUI lawyer right now. For example, if you have a second DUI conviction for an offense that occurs within five years of a prior conviction, you could automatically spend a minimum of ten days in jail, suffer a five-year driver license suspension, pay substantial fines and costs and be forced to install an ignition interlock device in your vehicle. These penalties are in addition to others that may be imposed by the Judge. Many times we are able to help our clients avoid these very harsh penalties. If this is your third offense DUI charge, that occurred within 10 years of your second DUI conviction, these mandatory penalties will be raised to a minimum of 30 days in jail and a 10 year driver license suspension, if you are convicted. Again, these penalties are in addition to others that may be imposed by the Judge. 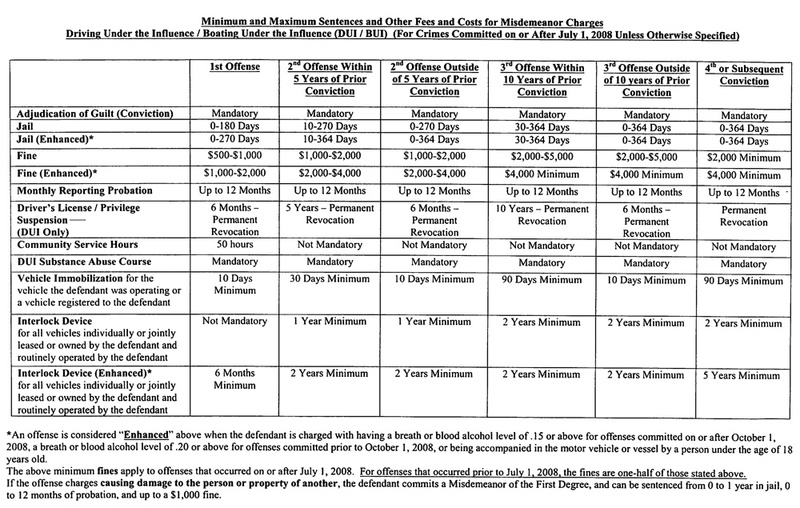 Click here for a chart of Florida DUI penalties. The State attorney will be in court, and their job is to prosecute you for this charge. 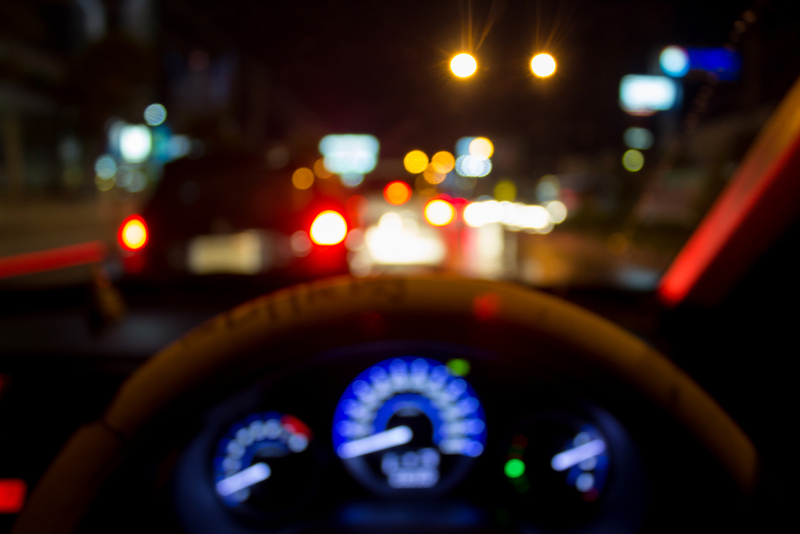 Aggressive DUI representation could the difference in helping you to avoid these very serious consequences. Fourth DUI convictions carry a lifetime driver license suspension in addition to the other penalties imposed by the Judge. Our lawyers for 2nd DUI are trained to deal with complex cases. Our goal is to get your second DUI conviction dismissed! With so much at stake, it makes sense to speak with one of our DUI lawyers, with local experience in the county where your arrest took place. The Ticket Clinic has 26 offices across the State of Florida and 15 full-time DUI lawyers on staff. We have handled thousands of DUI cases since 1987 and have taken approximately 1000 DUI cases to a jury trial, through the reading of the verdict. This experience sets us apart. Call us now for a free consultation at 1-800-CITATION and click here to see our results. Click above to see DUI penalties.